This DVD is also available as part of the Screening Room series Documentary Collection. Alan Lomax spent over six decades working as a musicologist, author, record producer, filmmaker, concert promoter, singer, photographer, and network radio host to promote knowledge and appreciation of the world's folk music. As an anthropologist of the performing arts he produced a multimedia database called The Global Jukebox, which surveys the relationship between dance, song, and human history. He was a lifelong advocate for "cultural equity," proposing to reverse the centralization of communications and secure a valid forum for the expressive arts of all indigenous cultures. 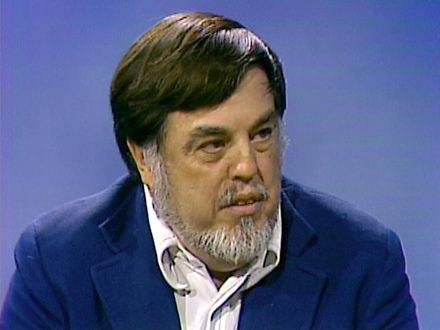 Alan Lomax appeared on Screening Room in August 1975 to discuss the theory of Choreometrics and show the film Dance and Human History.